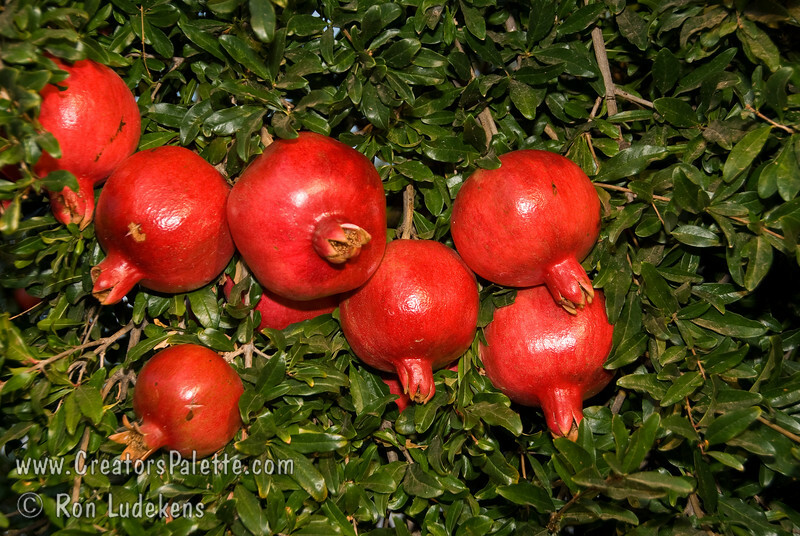 Bright red, large fruit produced nearly a month ahead of Wonderful Pomegranate. Early to market. Excellent flavor. Yields high volumes of antioxident juice and lower than normal waste pulp. Very soft seed. Ripens late August to early September in Central Valley of California. Drought tolerant.